According to one source, people involved in content creation spend 20 percent of every day on average looking for lost files. Multiply that across the millions of marketers and designers in the world, and you have an extraordinary amount of asset chaos and lost productivity. But there is a better way. Many marketers are using, or are thinking about, a Digital Asset Management (DAM) solution. In this article, we will talk about how a DAM solution is different to in-house file storage solutions (on your network server) and file sharing services (such as WeTransfer, Google Drive, or Dropbox). Then we will run through some key questions you need to think about before selecting a solution that is right for your situation. If you are already aware of what DAM is and how DAM solutions differ from file sharing services, please skip to the next section. If not, read on. There are a number of definitions of “digital asset”, but for our purposes, it means anything that exists with a digital format that is of (financial) value to a business or organization, and has usage rights attached to it. This includes rich media such as stock library images, photos, design files, brand logos, presentations, spreadsheets, digital notes, documents and more. 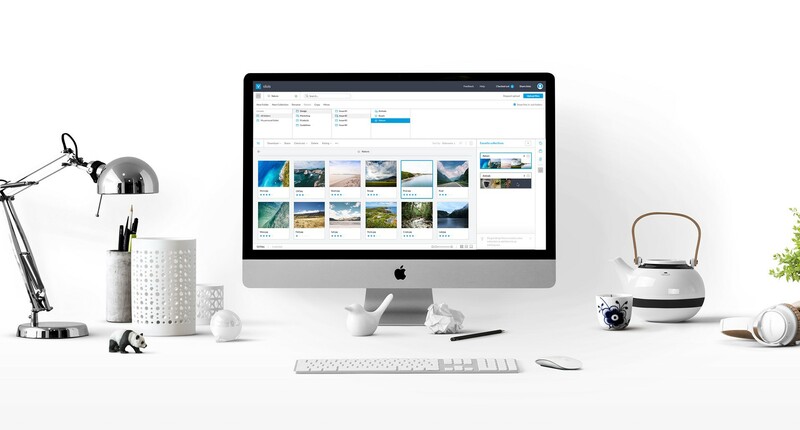 As you may guess, Digital Asset Management is a business process for organizing, storing and retrieving these rich media, and managing digital rights and permissions. As mentioned, digital assets can be stored on file storage solutions such as Dropbox, Google Drive, and others. But DAM software has a much broader function. Below is a list of areas where DAM software typically exceeds the functionality of file sharing or network server storage. One key advantage is that DAM solutions combine the functionality of a network server and file sharing service. This means you don’t need to use two systems to share large files, and you can share with links rather than loading the asset into a different system. On a related note, it is quite common for organizations with distributed file storage solutions to centralize file management in a single system, when they adopt a DAM solution. You have the ability to search not only files names, but file content and metadata (these are descriptive tags applied to the file such as size, date of creation/editing, owner, usage rights, and so on). You can browse visually, and see thumbnails and previews instantly. In a typical file storage solution this is often slow. 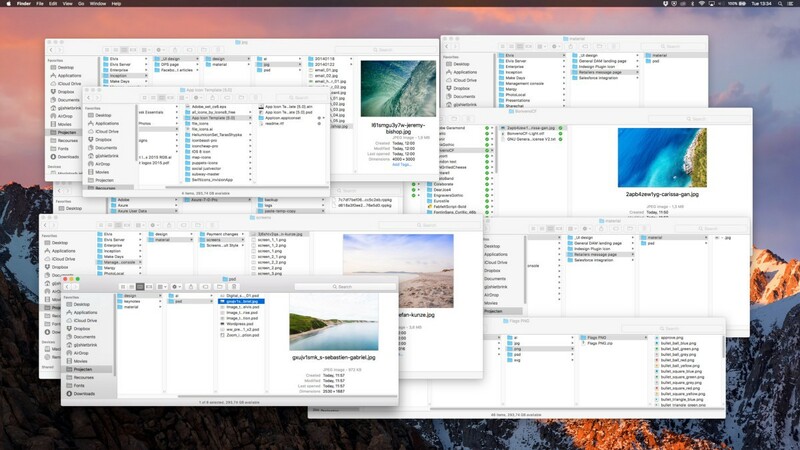 Greater control over who has access to folders or files. This can also be based on a status assigned to a file or folder. Is a DAM solution for you? Working with a DAM solution is not necessary for everyone. But if you have reached a point where finding and managing assets is a headache, a DAM solution is the way to go. Here is a checklist of questions you can ask your DAM vendor — and yourself — to assess if it is a particular solution is right for you, grouped under user experience, management, and technical considerations. Is the search experience intuitive and easy? Does it return search results quickly no matter the volume of assets? What is the underlying search technology and its pros and cons? Can you leverage AI for search (for such things as image recognition)? Can you filter search results on metadata such as file type, creation date, owner, color space, status, copyright, and so on? What is the user experience and user interface like? Does the software make it easy for your teams to accomplish their work? Are actions intuitive? Does it offer a choice of views, such as thumbnail, and other sized previews, depending on user preferences? Does it offer different options to visualize metadata, such as flags, or icons to show metadata such as a certain workflow status, copyright, or expiry date ? Does it work seamlessly with third-party tools, especially Adobe Creative Cloud? Can you customize the User Interface? Does it offer customized UIs for different user types, such as simple/advanced, or asset manager/asset consumer? Are you able to customize the UI to suit your organizational needs, for example, removing things not being used, or that can confuse users? Can you add your own branding? Does it support all the file types you need for your organization? Can you automatically downscale large files on the fly (to use in presentations or social media, and so on)? How does it manage permissions? Does it enable access based on metadata such as status/release dates? How does it handle metadata? Does the DAM support taxonomies? Can you use AI to enrich your metadata for search? Does it save versions automatically and if so based on what logic? Is it possible to see an audit trail of who made what changes and when? Is it easy to revert to previous files in their entirety? Can you set an expiry date on your sharing link? Can viewers provide feedback on a shared file? Can you enable uploading of new assets through a sharing link? Is there a limit to how many assets you can add? Is performance affected at any point due to volume? Do you need custom integrations and does the API (definition for marketers here) support these? Specifically, does it integrate with commonly-used tools such as Adobe Creative Cloud, and can it connect to existing systems, such as your CMS or website? Is it cloud-only or can it be deployed on-premise? With cloud-based DAM solutions, users can log in through their browser from anywhere, and updates can be rolled out by the vendor. But some larger organizations prefer on-premise solutions for security or other reasons. Does it support both? Is technical documentation accurate, and is support provided? Is the documentation regularly updated? Is there a community or forum where users can share knowledge and ask questions? What are its security practices? Do they run (regular) penetration tests? Are they audited by third parties? Are they relied on by customers with high security demands? At a time when the volume of digital assets is expanding at a seemingly exponential rate, content management should be considered seriously. With the DAM system in place, you will be freeing up time and resources for your content creators — designers, writers, photographers, and so on — to focus on creating amazing content, and leave asset chaos behind. WoodWing Software helps brands, publishers, and agencies create, manage, and publish content across teams and publish across channels. We build solutions that are perfect for large teams to efficiently work together on creative processes, within systems that are easy to manage. Customers include Hearst, Forbes, Axel Springer, Coca Cola, and Yamaha. To find out more, visit woodwing.com, or contact us. Originally published at www.woodwing.com on March 20, 2019.